Beds were comfortable, views were amazing and the staff were outstanding. The family of owners were wonderful & helpful and all the staff were very friendly. The beds are new & comfortable, VIEWS ARE AMAZING, and food is fabulous. Everything! Wonderful family owned & operated hotel, in a beautiful location. It's at top of the mountain and drove up hill was scary. Beautiful spot, nice pool, relaxing feeling all around the place. Lovely owners. Simply perfect Beautiful views, lovely rooms, friendly and efficiently run. You may enjoy a whole cozy day on the property since there is a bar open by the pool all day serving drinks and meals and at night you can have a nice dinner in the restaurant and than drinks at the bar until 1 AM. Or of course you can take your car or walk down to the village to one of the restaurant of beautiful beaches around. All options are open. Everything was great. Family owned business. Manager went out of his way to help us get our laundry done in time to leave the next day. Lock in a great price for Elounda Heights (Adults Only) – rated 9.4 by recent guests! 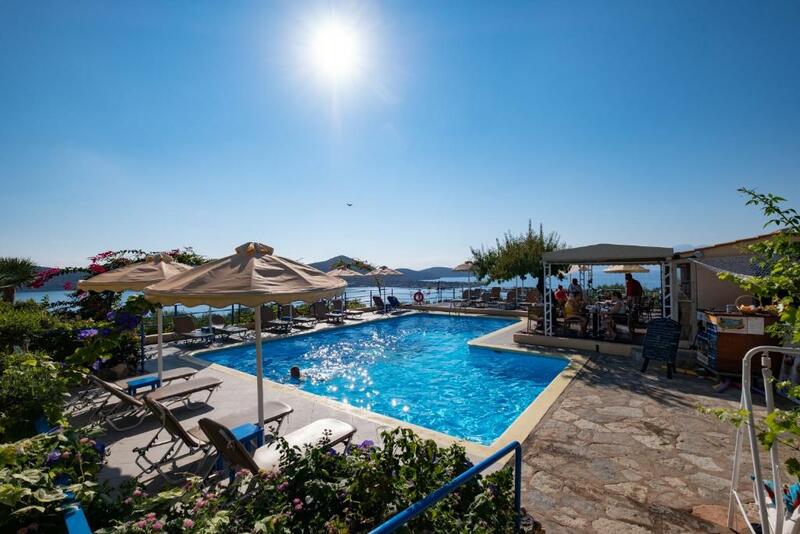 Overlooking Mirabello Bay and the beautiful Venetian castle on the island of Spinalonga, the adults-only Elounda Heights offer an outdoor pool and free Wi-Fi. Self-catered rooms feature private balcony overlooking the Cretan Sea and mountains. A fitness center is available. Historic sites in the Elounda area include the Venetian Castle in the famous Spinalonga Island. 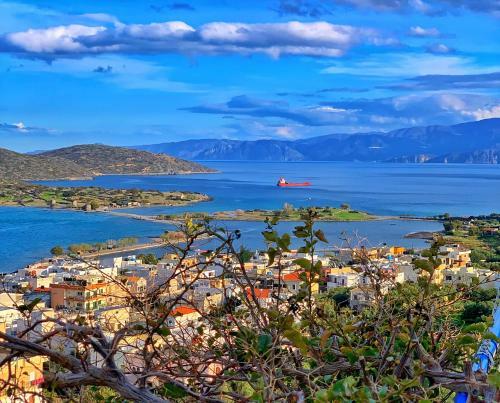 The pet-friendly Elounda Heights Apartments is 43 mi away from Heraklio and Nikos Kazantzakis Airport. 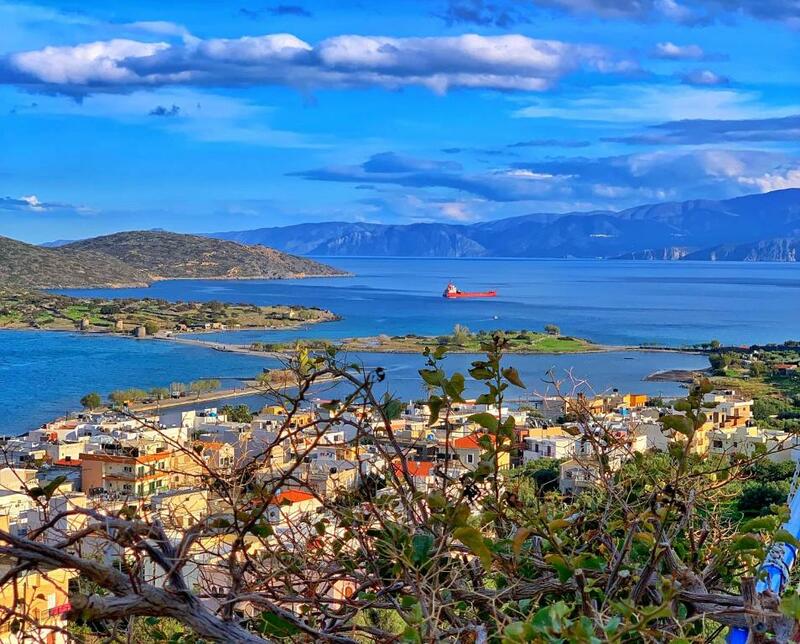 It is a 13-minute drive to the nearby town of Agios Nikolaos and only a 5-minute walk to Elounda center. Free on-site parking is available. 뀐 Located in the top-rated area in Elounda, this property has an excellent location score of 9.3! When would you like to stay at Elounda Heights (Adults Only)? Located on the ground floor, this traditionally furnished studio opens to a patio with sea and garden views. A well-equipped kitchenette, air conditioning and free WiFi are featured. This spacious and air-conditioned apartment comes with a separate bedroom, pool view and partial sea view. It features a living room with a TV and a well-equipped kitchenette with a mini fridge. Free WiFi is provided. Located on the top floor, this traditionally furnished studio opens to a spacious terrace with unobstructed Cretan Sea views. A well-equipped kitchenette, air conditioning and free WiFi are featured. Located on the top floor and offering a balcony with unobstructed views of the Cretan Sea, this spacious and air-conditioned apartment comes with a separate bedroom. It features a living room with a TV and a well-equipped kitchenette with a mini fridge. Free WiFi is provided. This luxury, top floor apartment offers breathtaking sea views, large bedroom, a separate living room with kitchen and flat-screen TV, brand new bathroom and a lovely balcony. Elounda Heights, adults only hotel, was established in 1988. Peaceful, good quality, fresh home-made delicious food, with a wide selection of worldwide drinks that will impress even the most accomplished connoisseur. It is not an ordinary hotel, you are treated like part of the family. You will have fun but you will be relaxed and enjoy, options for trips and unique activities, to suit you. Couples, single people, you will make friends for life. It changes lives. The slogan is we ‘heighten your senses’; views like no other, tastes like no other, feel like no other, flower fragranced like no other.... that’s their guarantee to you. 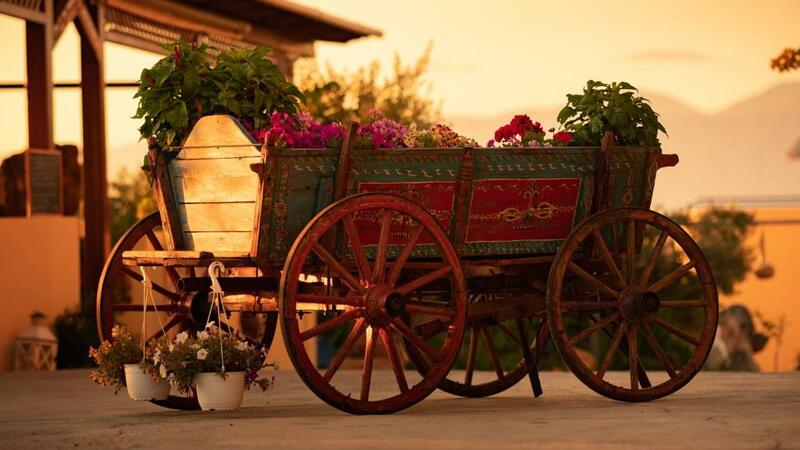 Vaggelis and wife Ann formed the Heights with a vision for guests’ experiences to deliver above and beyond your expectations, the simple aim to create the holiday experience of their own desires. Daughter, Natalie and husband Kostas are also now involved in the business and continue with the same passion. A family run hotel where you will experience exceptional warmth, atmosphere, innovation and peace that will not disappoint. 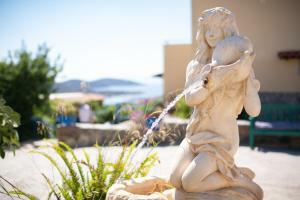 House Rules Elounda Heights (Adults Only) takes special requests – add in the next step! Elounda Heights (Adults Only) accepts these cards and reserves the right to temporarily hold an amount prior to arrival. Please note that children under 16 years old cannot be accommodated in this property. I am a nervous driver, but once I had driven up and down the hill I was absolutely fine, first gear both ways! I understand this winter they are improving the road as not tarmac. We also walked it, fine if you are moderately fit. Once you have managed the short steep hill up to the property you find yourself in a little paradise. The views are spectacular all around, and the gardens are beautiful, full of flowers and fruit trees. The rooms large and comfortable with all you require for a holiday, and the gardens and pool area magnificent. They even have a telescope to see in more detail. I cannot recommend this place enough. It is a family concern, and they make you part of their family. They are always attentive, and happy for a chat or to just leave you to do as you want. There is a wonderful swimming pool, with plenty of comfy loungers and umbrellas. The pool bar is well stocked. We actually arrived the very last few days of the season but were still welcomed with open arms. As there were only a few of us staying, there were no special trips or events such as the boat trips, Meze and BBQ nights and wine tasting. The snack food was good at the pool bar, but we especially recommend the evening meals cooked by Vangelis. Best views in Elounda, very peacefull property. Very pretty location with great views. Attractive room with all facilities plus lovely verandah with quality sunbeds. Friendly homely atmosphere created by passionate family team. Lovely pool with stunning backdrop for breakfast set out in front of the bar. Quality restaurant on site with themed evenings, where patriarch Vangellis chefs while the rest of the family led by Costa host and socialise creating a lovely atmosphere for the guests. Restaurant closed on Sunday when Captain Vangelis doubles as skipper on the hotel's traditional converted fishing boat in a trip around the bay with views of Spinalonga Island. Terrific 5 days in the delightful town of Elounda. Its no wonder guests keep on returning. We liked everything. Some reviewers commented on the steep climb, but it's a blessing in disguise: you get to burn all the calories you've consumed in restaurants, and the views from the top of the hill are to die for. My husband and I spent almost 3 weeks there and enjoyed every moment. The location of the hotel is unique: it's on a hill overlooking the town and the sea, which gives you amazing views and a nice secluded and cosy feel. The garden around the buildings is delightful, the studio rooms are well-equipped and comfortable, the breakfasts are delicious. There is always something interesting going on: either a boat trip, or a wine-tasting event, or a concert - much better than 'animation' in some 5-star hotels. On our last night, we even got to observe the night sky through their own robotic telescope! And the great thing about it all is that it's all rather low-key and you don't have to take part if you'd rather do something else: for example, we made a lot of day trips and didn't even use the pool or the bar, and didn't socialise much because we were so tired in the evenings; other guests spent their days chatting at the pool and enjoying each other's company. There are a lot of small touches that made the stay memorable: the heater in the open-air restaurant, the USB sockets in the rooms, the home-made jams for breakfast, a tiny flower decorating my plate for dinner (but never my husband's! :)), etc. All this added up to an amazing experience for our first time in Crete. The family who run the hotel (thank you Vaggelis, Natalia, Kostas!) are great at what they do, and if we ever go back to Crete, Elounda Heights will be the first and only hotel on our list. Very nice villa with private pool. Quiet location in the hills. Friendly staff, great massage. The staff were all welcoming and nothing was too much trouble. Angela who managed the pool bar looked after our every need, the poolside and restaurant food was excellent especially the sausage platter, so good we had it twice!! Real Greek yoghurt would have improved breakfast. Fantastic views, lovely breakfast and great management. The food is lovingly prepared by the owner. The beds are extra comfy. Nothing is too much trouble for the fabulous family who run Elounfa Heights. Everything was even more fantastic than we had ever imagined. You are invited to join a family when you step into the Heights. We simply loved everything about this place. We only booked for one night because we were only in Elounda to visit Spinalonga. But we will be back! That’s for sure! The apartments are extremely dated, dark and uncomfortable. The pool area much smaller than appears on the website and a bit congested. The property is in a very commanding site with great views , the atmosphere very friendly. It’s high up over the village so central but with a large site, lovely gardens. The breakfast was good.